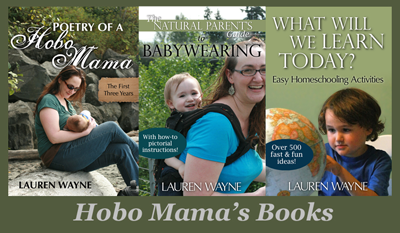 Hobo Mama: Celebrate World Breastfeeding Week with NPN! World Breastfeeding Week promotes breastfeeding awareness and education. The theme for 2011 is Breastfeeding: A 3D Experience. Thanks for setting this up. I look forward to many interesting and happy hours reading the posts! @Dr Sarah: I am so very impressed you made it in with 39 minutes to spare! The apostrophe thing annoys me, too — it does it on any title that has one. Oh, well! I tried out the URL, and you're right — I can read the post on your main page but can't get to the post page. Odd. :-/ I don't know enough about Typepad to give you any recommendations, but if you repost it and want me to edit the URL in the linky, I can do that — just let me know.